Superbly elegant 75' classic sailing yacht with an immaculate Edwardian-style, glossy varnished teak interior, two equally sized VIP main staterooms, a comfortable main salon with formal dining area, pilothouse with another dining option and large cockpit. 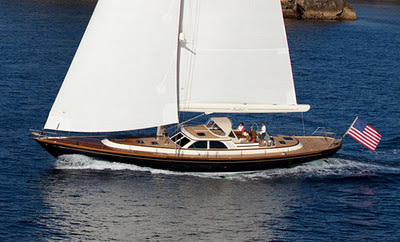 Ideal yacht for the most discerning yachtsmen and women! Available for Thanksgiving and the Christmas and New Year's Holidays.